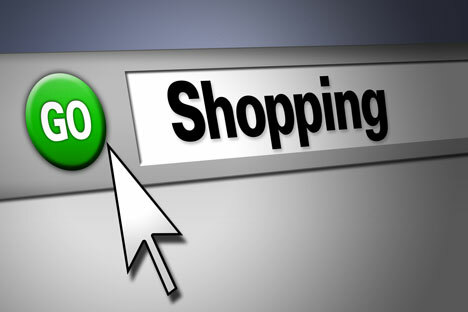 As more and more Russians get access to the Internet, they are looking for a way to shop online. American online bank PayPal has shrugged off fears of corruption and will enter the burgeoning Russian online payments market, according to local reports. Russia has one of the fastest growing Internet markets in the world, and the number of subscribers has been exploding over the last three years. The number of people connected to the Internet is doubling about every 18 months and experts say it will reach about 50 million people by the end of 2011. Broadband connections are growing by about 3 percent a month and penetration reached 29.7 percent in December, according to a report by AC&M-Consulting. Most of the additions are in the Russia’s far-flung regions where residents typically see the Internet as “educational” and a way of showing their children the rest of the world. Subscriptions in Siberia grew by 4.3 percent in December alone, easily outpacing growth in Moscow. Many sites accept payment via mobile phone: The customer sends an SMS to a special number with the order and a charge is added to the phone bill. However, phone companies charge up to 40 percent of the purchase price as a fee, said Dunlop. Credit cards drawing on a foreign bank also rarely work on Russian sites. PayPal made "a strategic decision" to enter the Russian e-payments market, sources told Russian business daily RBC in April. The U.S. company is now only waiting for laws on a national payment system to be approved before opening its office in the next year, the paper reported. PayPal’s decision marks an about face in attitude for American online companies. In 1998, CompuServe cut off access to Russia. Too many hackers logged in on false accounts or with falsified or stolen credit card numbers, the company said at the time, racking up massive charges on the services that connect users in those countries to CompuServe's host computers in the United States and Western Europe. PayPal is more confident of the market’s potential and is already in talks with local Internet providers and cellular phone companies. "Generally speaking, the company is interested not only in Russia, but in the CIS on the whole as well," an RBC source said. In 2009, the leading online payment systems Yandex.Dengi and WebMoney accounted for over 90 percent of the Russian market of e-payments, according to the Electronic Money Association, so PayPal has some catching up to do. WebMoney was founded in 1998 and registered in the Central American country of Belize, where its owner and administrator lives. Originally designed to serve Russian clients the company has been growing very fast and now claims to have more than 14 millions customers worldwide.